After relocating to a new area for work, Melissa Olsen was having a hard time adjusting to the move. A friend sent her a link to Team In Training (TNT). Melissa had been involved with Light The Night® Walk in memory of her father, who lost his battle with AML. 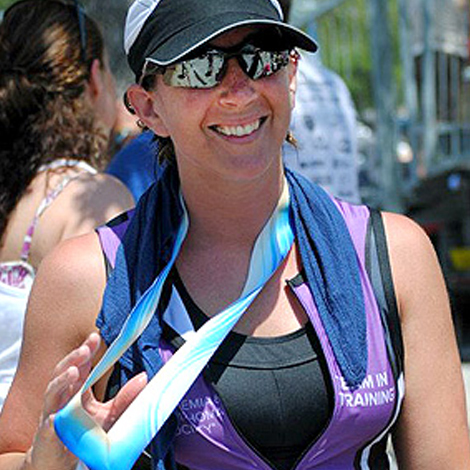 Through TNT, Melissa got the courage to attempt a triathlon. The program also helped her overcome her fear of open water. "Nothing makes me happier than being able to complete all of these events with such a great program," says Melissa, "all while raising money and awareness so that someone out there has a better fighting chance than my dad did. His courage throughout his battle gives me the strength to train, to fight and to keep the faith."